How to Check ICICI Prudential Policy Status? ICICI Prudential Life Insurance Company is one of the largest insurance companies in India. It has a reputation for providing different types of insurance products to its customers as it caters to their various needs. If you are a customer of ICICI Prudential Life Insurance, then you can easily manage your policy from the comfort of your home. If you have a secured internet connection and a laptop or a smartphone, you can easily manage your policy which includes paying your premiums, checking the status of your policy, and many more within minutes. The whole process is extremely easy and hassle-free in nature. We will look at some of the methods that you can follow to check the status of your policy. Login to the official website of ICICI Prudential Life Insurance Company. Click on LOGIN, you will receive a drop-down of various categories in which you will have to choose Customer. A page will open where you will have to click on New User. Enter either your email id, mobile number, or policy number followed by entering your date of birth. Click submit. Create a password for yourself. Click Submit. You will have to wait for six hours as your profile will be set up. You can then use your credentials to login to the portal and check the status of your policy. Login to the official website of the ICICI Prudential Life Insurance Company. A page will open where you will be required to enter either your email id or mobile number registered with the insurance company. Under Start In option, click on the option you wish to check upon. For example, if you wish to view policy details then click on View Policy Details, and click on Sign In. You can then proceed to view the details of your policy. A separate page will pop up in front of you. Click on Forgot Password. You will be directed to a separate page where you will have to enter either your email id, mobile number, or policy number followed by entering your date of birth. Click submit. You will have to create a new password. Click on Submit. Your password will get updated after six hours following which you can use it to login to the portal. Under Existing Customers section, you will find ‘Hi! I am your Service Assistant’ option. There will be a message box where you can post your query. In case the service assistant is unable to help you with your query, you will see a message right below it with a link saying Write to Us and Contact Us. Click on Write to Us, wherein a separate page will open. Enter the details as required and select the type of query you have. Click on Submit. You can also call on the number 1860 266 7766* if you are a resident of India and wish to know anything related to your policy. If you are an NRI, you will have to call on the number +91 22 6193 0777*. You must also note that the phone service is available on Mondays to Saturdays except on national holidays. You can call anytime from 10:00 a.m. to 07:00 p.m.. Under Track Your Application, click on the link Click Here. You will be directed to a separate page where you will have to enter either your registered mobile number, application number of your policy, policy number, or your transaction ID including your date of birth. You will be then able to find the status of your policy. You can also avail the service of the insurance company’s chatbot service called Ask Ligo. You can either select the type of query you have or directly type in your query following which the chatbot will help you. You can also call on the number 1860 266 7766* if you are a resident of India and wish to know anything related to your policy. The phone service is available on Mondays to Saturdays except on national holidays. You can call anytime from 10:00 a.m. to 07:00 p.m.. You do not need to prefix your country code while calling on the number. In order to know the status of your policy or if you have any other policy-related query, you can send a mail to the email id lifeline@iciciprulife.com. You can also call on the number +91 22 6193 0777* which is open 24x7 except on national holidays. You can also call on the number 1860 266 7766* from 10:00 a.m. to 07:00 p.m. from Monday to Saturday. Click on Group and Annuity customer. You can also call on the number 1860 266 7766* from 10:00 a.m. and 07:00 p.m. from Monday to Saturday. Please note that you are not required to use any country code while calling on this number. You can use the SMS service in order to get your policy-related queries cleared by sending a message in a predetermined format to 56767. 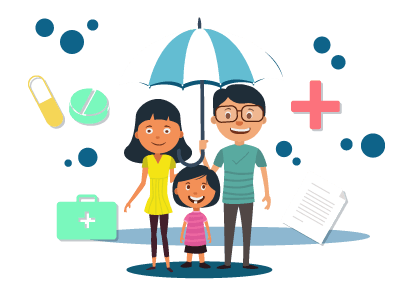 Hence, these are some of the ways through which not only you can find the status of your policy but also get your other policy-related queries cleared as well. The whole process is very simple and hassle-free in nature and all you need is a secure internet connection and a laptop or a smartphone.